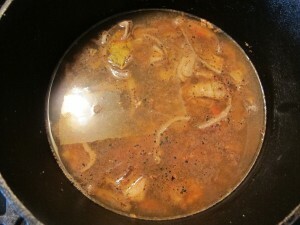 in a dutch oven, add the vegetable oil and preheat the pan over medium high heat. season the chicken thigh with salt/pepper on both sides. 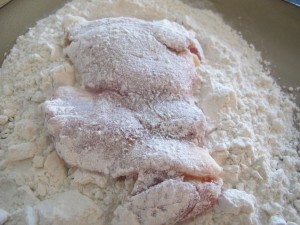 add the flour to a flat plate. dredge the seasoned chicken thighs in the flour on both sides. add the chicken to the hot pan. 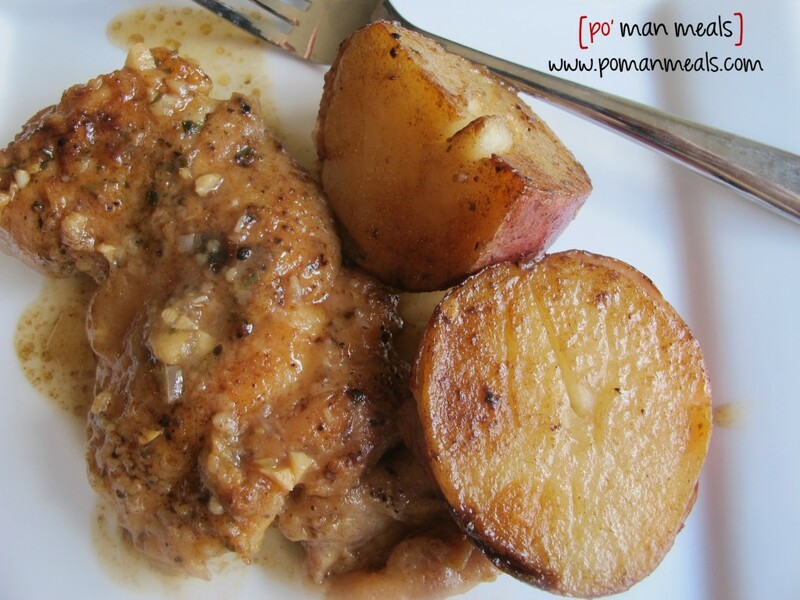 do not over crowd the pan... cook in batches, if need be. 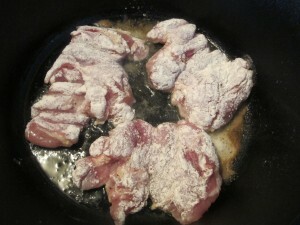 allow the thighs to sear on each side, cooking about 3-4 minutes on each side before turning over. 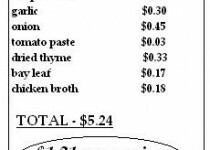 remove the chicken to a plate. 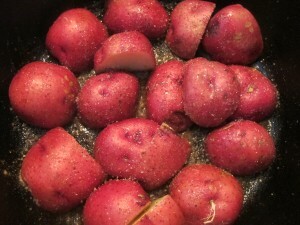 add the red potatoes to the pan, surface area down. season generously with salt/pepper to taste. allow the potatoes to sear as well, by not moving them for a few minutes. 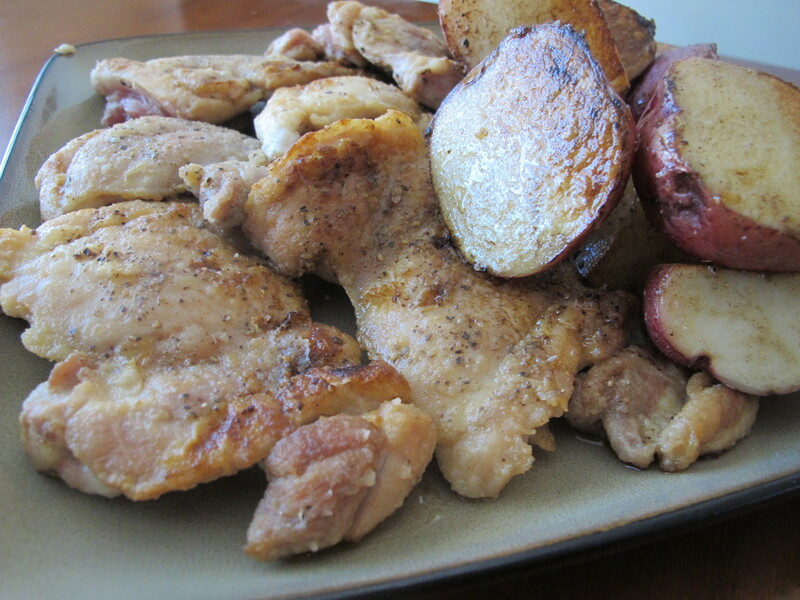 remove the potatoes to the plate with the chicken. 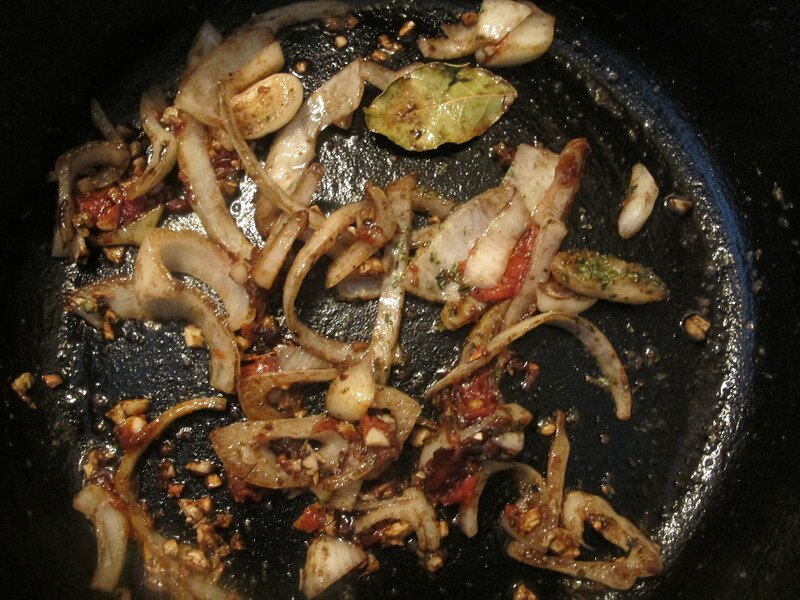 add the garlic, onion, tomato paste, dried thyme and bay leaf to the pan. saute for a couple minutes until the onions are slightly tender. stir in the chicken stock, scraping the bits from the bottom of the pan. 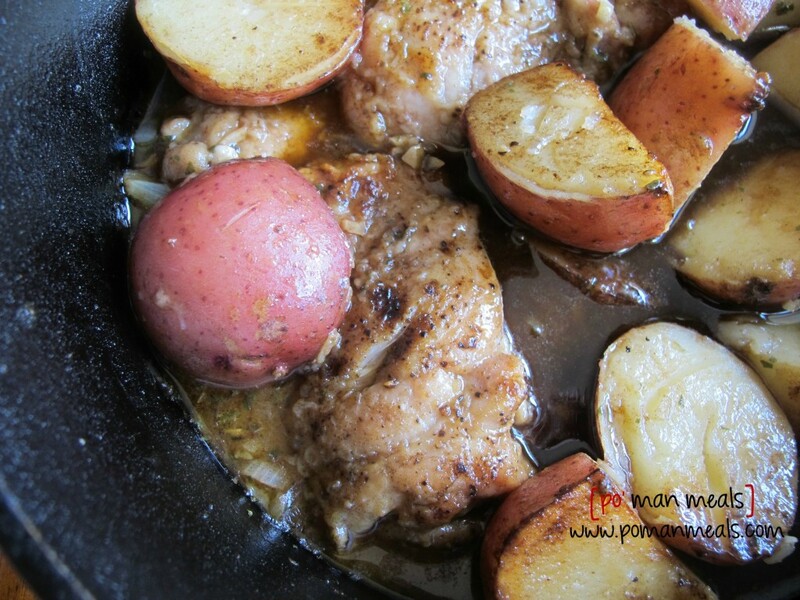 add the reserved chicken thighs and red potatoes back to the pan. 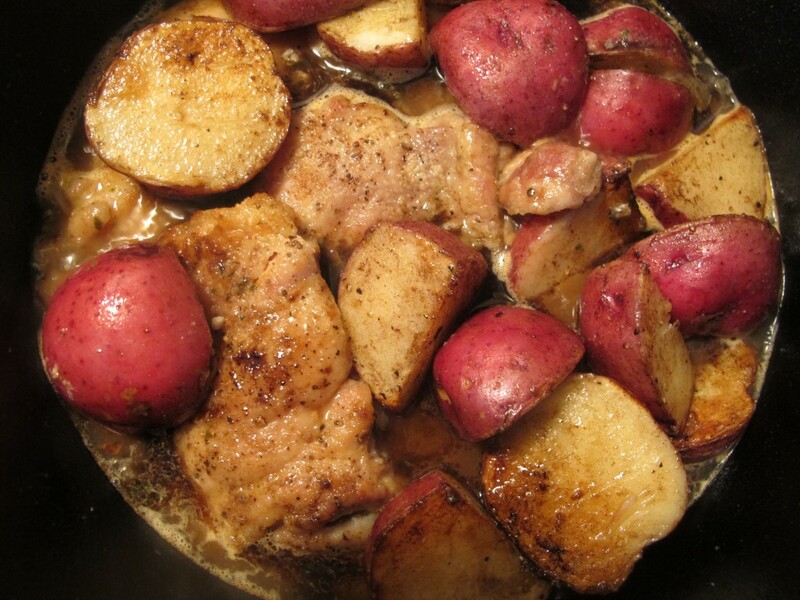 bring the mixture to a simmer, cover and place in the preheated oven for about 30 minutes or until chicken is cooked through and the potatoes are tender. look at those red beauties! 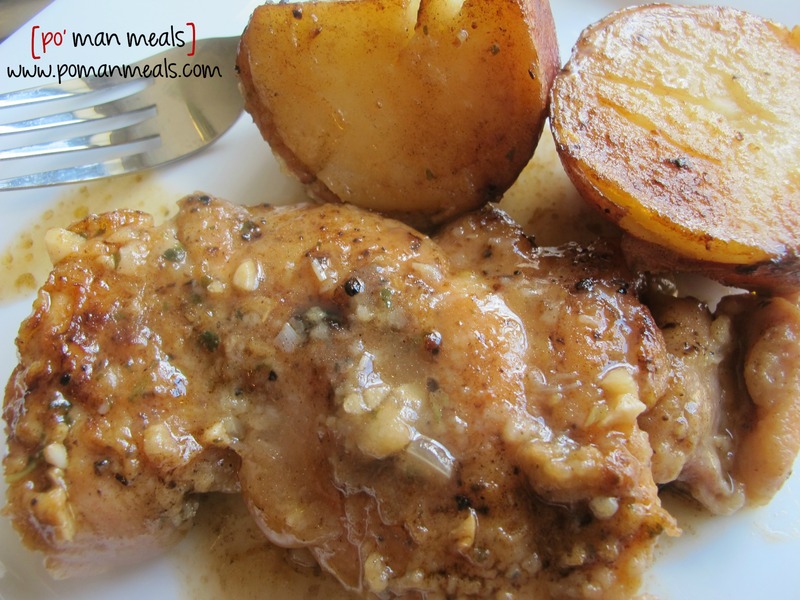 Gotta try this – Yummy! I am dying from the smell. My roommate and I are making this right now and I can’t stand waiting. It smells so good. 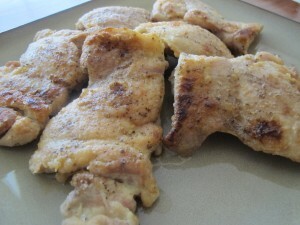 Hey got a question, did you use bone in thighs or boneless ones?? Thanks!!! You are ALWAYS my “Go To Girl”, trying this 1 tonight. 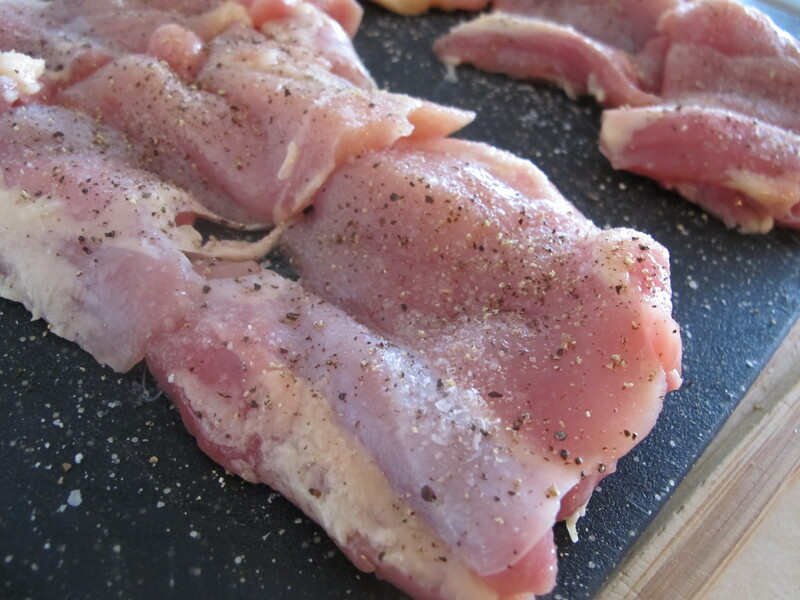 Excited, smells amazing already, love the combination of meat/seasonings. Thanks as always !!!!!! Congrats on your book !